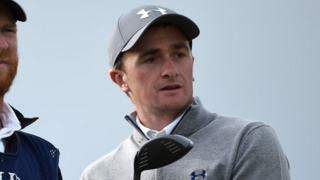 Irish amateur Paul Dunne says he is enjoying challenging for the Open Championship at St Andrews as he enters the final day on Monday in a share for the lead with South African Louis Oosthuizen and Australian Jason Day. "If you can't enjoy this, you can't enjoy anything as a golfer," said Dunne after posting a third-round 66 on the Old Course. "I'm treating it like any other golf tournament. I'm going to go out there, try to make some birdies, give myself a chance and see where it takes me."